This entry was posted on Thursday, August 11th, 2011 at 8:20 am and is filed under Film review. You can follow any responses to this entry through the RSS 2.0 feed. Both comments and pings are currently closed. Hi Thomas…great review to a wonderful film that we saw last night at the Nova. Looking forward to it! The pictures look great! To be honest, I’m just being reminded of how much I am DYING to see Anna Karenina directed by Joe Wright when I see adaptations of classic novels though I still am excited for this. I had major problems with the narrative structure of the novel, specifically (trying to be non-spoilery) the two spectacular coincidences that Bronte needs to use to get her plot where she wants it to go. I’m fascinated to see how (or indeed, if) they’ve altered the structure so that those moments don’t have such a jarring effect. I was disappointed with this new version of Jane Eyre, not from the actors who were both excellent, but from the actual adaption of such a well-known and loved literary work. There was so much left out – both with characters and situations. The developing relationship between Rochester and Jane was not handled well – Judy Dench was absolutely wasted – the relationship with the Rivers family was never properly enunciated and the ending was just too abrupt. The filming was very dark and lacked the light and shade of transition through seasons. Haddon Hall however is always amazing. The whole movie was not a patch on the 2006 version with the amazing Toby Stephens and Ruth Wilson from a beautiful screenplay by Sandy Welsh. I know that the time frame was greatly reduced, but overall the new movie was a major disappointment and felt much akin to the Kiera Knightley/Matthew McFadyen version of Pride and Prejudice – made for people with short attention span who have never read and loved Charlotte Bronte’s beautiful book. Sorry, not up to standard for me. What a great pair of actors. Fassbender has been my favourite for a while, it’s good to see him get recognition. Wonder when I’ll be able to catch this … DVD probs! @John: There are a couple of very convenient coincidences that come into play, but I felt the film simply took them it its stride. @Sue: I don’t think it is fair to say that this version of Jane Eyre and Joe Wright’s version of Pride and Prejudice (which I also really liked) are made for people with short attention spans. 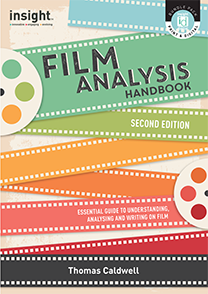 The process of adaptation means that a lot of what was in the original novel will need to be condensed and altered to suit the visual medium of film. A made for television miniseries, like the 2006 adaptation you mention, has the luxury of a much longer running time and is not designed to be watched in one sitting, unlike cinema. Otherwise, I found your other comments fascinating in light of your appreciation for the novel, which this film has inspired me to now read.